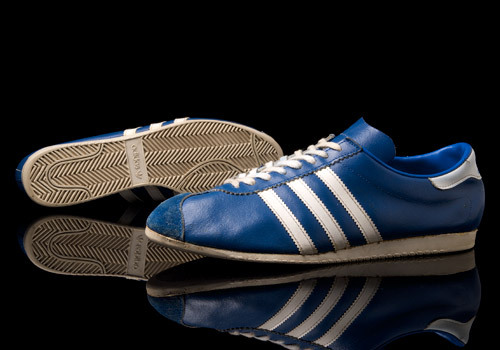 The adidas Rekord is a well-known vintage model that is still being released in new colorways many years after its initial release. 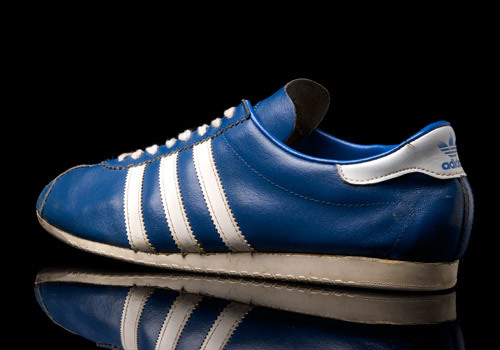 The original pairs are not easy to come by, often found in used shoe boutiques for a bargain or in online auctions for hefty sums of money depending on the shoe size one might be after. 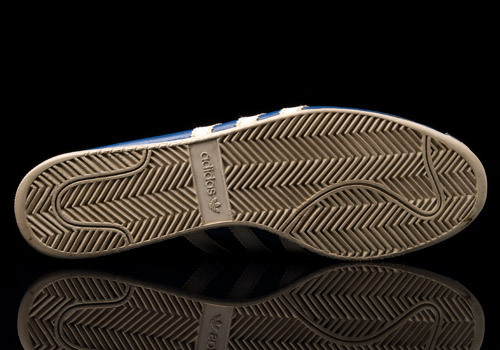 A trim low cut silhouette gives the Rekord a lightweight fit on the wearers feet, providing excellent movement and comfort. 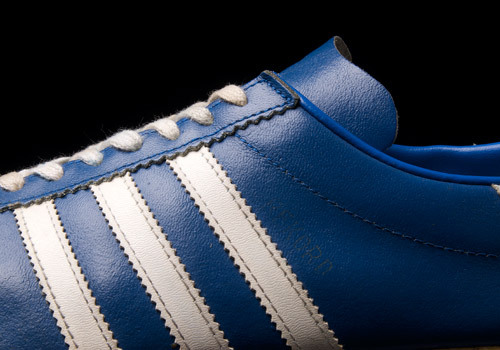 The smooth leather upper is done in a dark royal blue and reinforced at the toe with an extra layer of leather. 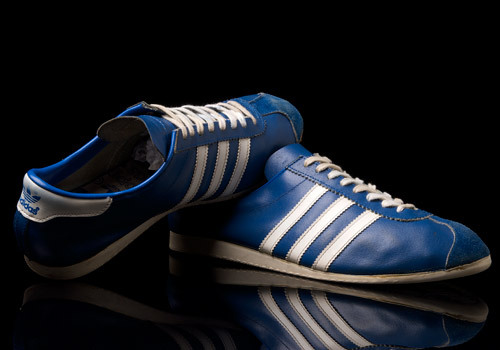 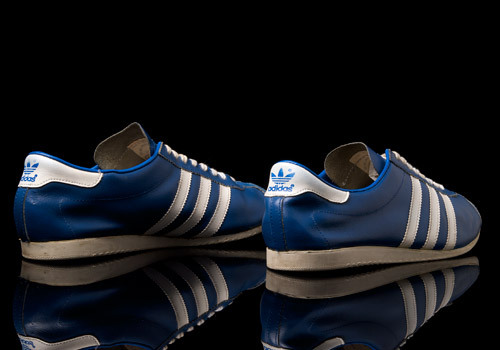 White perforated stripes accent the almost all blue colorway in the most classic of adidas styles, and continues to the heel patch where the only adidas branding lies (except for on the bottom of the off-white outsoles). 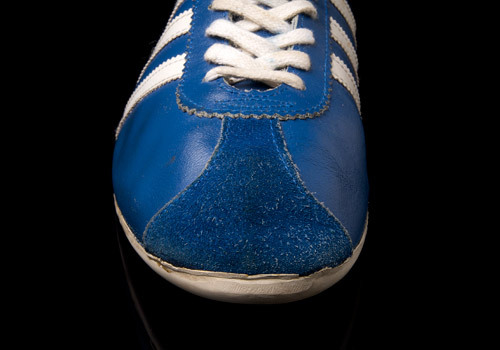 The shoes come packaged with soft white vintage laces. 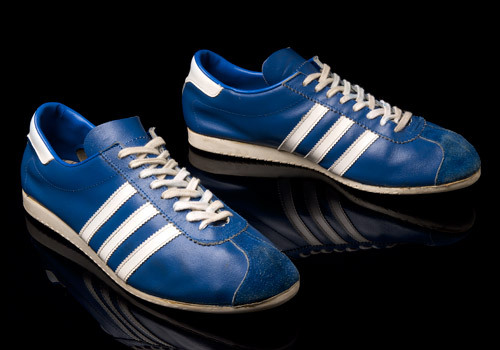 Most of them were made in Romania, at one factory in Bucharest, called Pionierul. 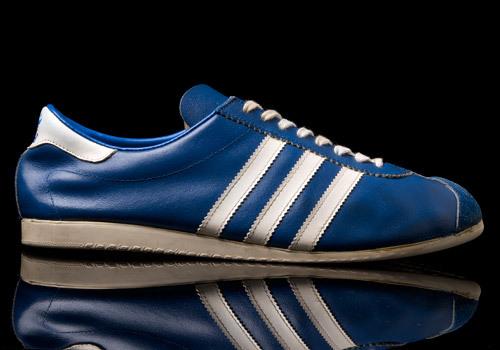 They made Rekord, Paris, Sport and other models.